If missing teeth aren’t replaced for a period of time, the jawbone around the area starts to atrophy or re-absorb. This deteriorated bone tissue is of poor quality and is inadequate for dental implants. However, with modern medicine, we have the ability to grow new bone tissue. This new tissue growth allows patients with deteriorated jaw bones, who would normally not be candidates for dental implants, to receive implant surgery. This surgery can prevent further bone atrophy, while bonding replacement teeth, allowing you to once again eat your favorite foods and smile with confidence. A simple bone grafting procedure can repair sites with unsuitable bone structure. Whether your jawbone has deteriorated due to gum disease, injuries, bone reabsorption, or previous extractions, we can help grow replacement bone tissue strong enough for dental implants. We begin by taking small portions of bone from your chin area, the upper jaw, or the third molar region. We can also take bone from a tissue bank or from bovine bone, which has been prepared to encourage your own bone growth at the repair site. To replace bone in your posterior upper jaw, we use a sinus bone graft. Furthermore, we utilize special membranes to protect the new bone and promote regeneration. Often, major bone grafts are used to repair jaw defects, which may arise due to tumor surgery, congenital defects, or trauma. 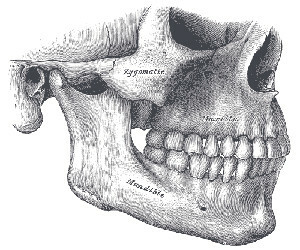 The procedure uses the patient’s own bone, the location of which depends on the size of the defect. Common locations for bone harvesting include: The skull, hip, or lateral knee. Typically, this procedure is performed in an operating room and requires a hospital stay. Years ago, loose-fitting dentures were the only option for patients with missing front teeth. However, the sinus graft now makes it possible for many people to receive dental implants. On top of your upper teeth and behind your cheeks rest the maxillary sinuses. As they hang above our upper teeth like empty caves, some roots of your upper teeth extend up inside these sinus cavities. The sinus wall is a thin layer of bone separating your sinuses and your mouth. As implants require substantial bone to hold them firm, it is not possible to place dental implants here without first doing a procedure called a sinus lift graft. The sinus lift graft provides a solution to people in need of dental implants. The surgeon enters the sinus cavity through the upper gums, lifting the sinus membrane and inserting a donor bone onto the sinus floor. A few months later, the healed bone becomes part of the patient’s jaw, allowing the placement of stable dental implants. Doctors can sometimes perform the sinus augmentation and implant placement as one procedure. The bone between the bottom of the sinus and the upper jaw must provide enough foundation for a dental implant. However, if there is not enough bone available, the bone graft will need several months to heal and mature before implants are placed. Required time between procedures varies based on the type of graft material used. Sometimes, in severe cases, the ridge is reabsorbed, making a bone graft necessary to increase ridge height and/or width. Ridge expansion is a technique to restore bone dimension if the jaw ridge has become too thin to place implants. The doctor literally expands the bony ridge of the jaw by mechanical means. Bone graft material is then placed, allowing a few months to mature before placing an implant. Depending on the patient’s condition, these procedures may be done separately or combined. Using the patient’s own bone for grafting tends to yield the best results. Many times, we can use allograft material to make bone grafts for dental implants. Prepared from cadavers and used to encourage the patient’s own bone to grow into the repair site, it is a safe and effective procedure. We can also stimulate bone formation with synthetic materials, and a patient’s own blood factors can accelerate and promote bone growth in graft areas, called platelet rich plasma. Our surgeries are done in our out-office surgical suite. Patients will be put under general anesthesia or IV sedation. Once discharged, doctors recommend one day of best rest, as well as limiting physical activities for one week. If you are in the Raleigh, NC area and need a dental bone graft, contact Davis Oral Surgery in Raleigh, or call 919-488-2194 to schedule an evaluation.